So I wanted to do a quick post to share a new beauty find that I just discovered. It's called NYX butter gloss. It's a creamy, smooth lip gloss that comes in a bunch of shades. 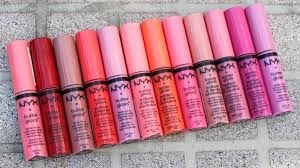 I've never tried anything from NYX before but I had heard about it from some other bloggers and a friend of mine who loves it. I finally got around to picking one up - I got the creme brulee shade, which is kind of a coffee colored neutral - and I'm in love. It cost $5 for one or $10 for a 3-pack and honestly, now I'm wishing I got the 3-pack because I'm eager to try some more colors. You can find these at Ulta, Target or Nordstrom. 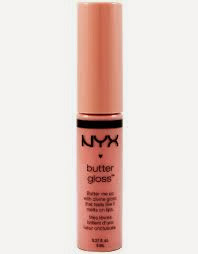 Let me know if you try this gloss and what you think of it. ooh these look like pretty nice products! love the colors!